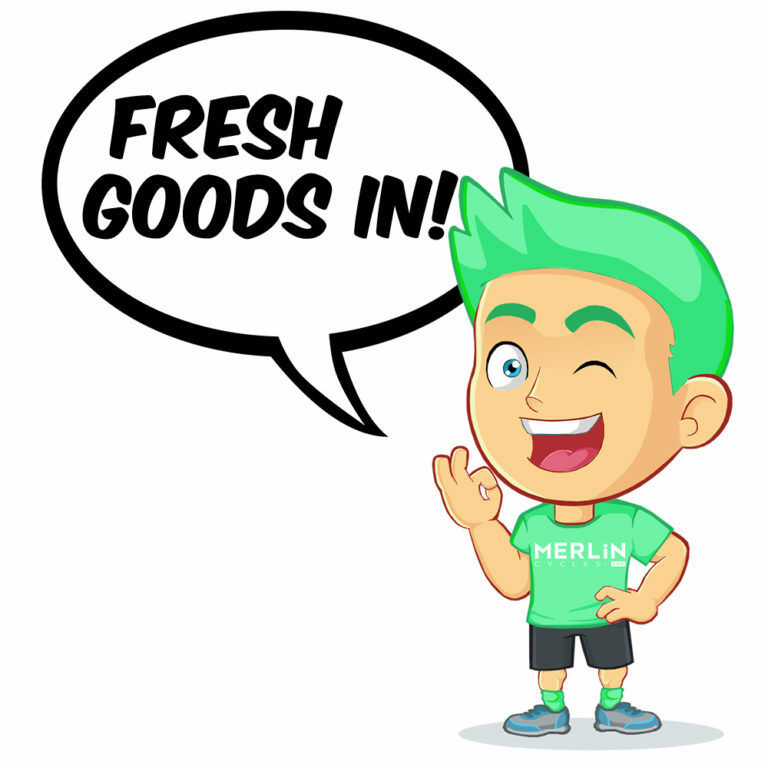 Just arrived at Merlin Cycles! Here’s a look at some of the top products that have caught our eye over the last couple of weeks, including some hot new MTB shoes, a big drop of Troy Lee Designs clothing and our own Merlin carbon disc road framesets…. Troy Lee Designs – Fresh Kit, Big Discounts! We’ve managed to source a large range of high-value products from Troy Lee Designs with some big end-of-season savings on casual wear, race kit and body armour. 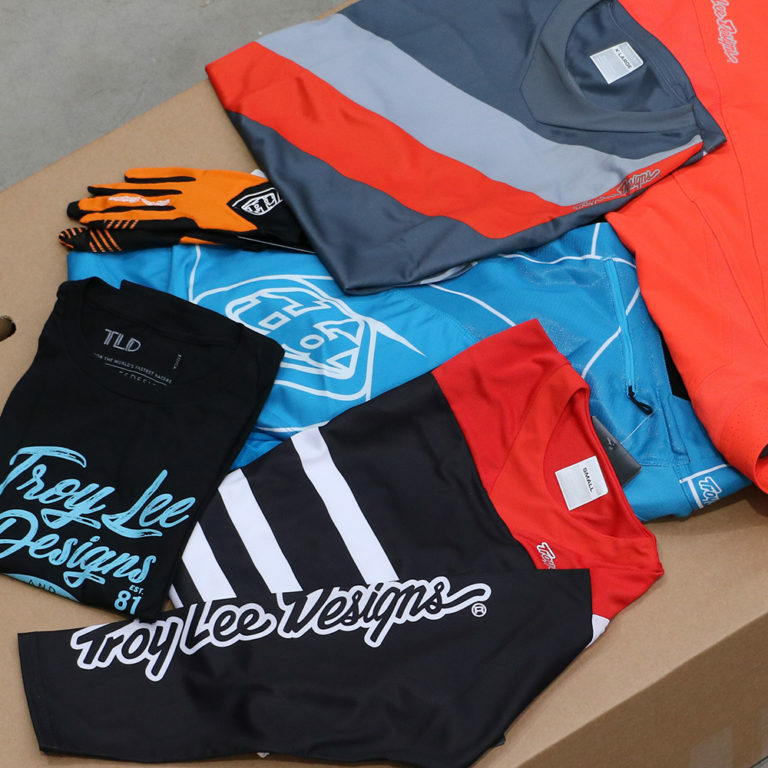 The Troy Lee Designs brand has been part of mountain biking now for more than 25 years; with its distinctive, stylish looks and its high-performance technical fabrics Troy Lee Designs are recognised as one of the leading brands in mountain biking today. We’ve got a large collection MTB kit – shorts, jerseys, trousers, gloves, body armour and helmets in lots of different colour options as well as some great casual wear including T-shirts, hoodies, caps and beanies so take a look while stocks last! Our Shimano WH-RX830 wheels are worth a closer look! These versatile disc specific wheels are tubeless ready and would enhance the ride or your disc-brake road bike or lighten up your gravel bike so it’s ready for that next high-altitude adventure. 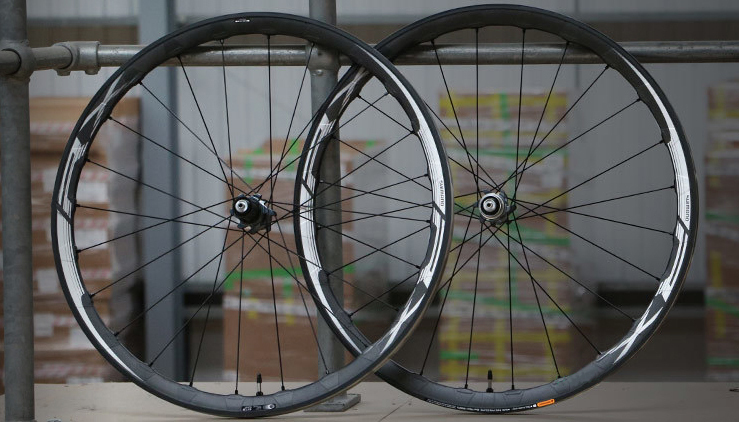 The Shimano WH-RX830 clincher disc road wheelset is a high-quality, high-value pair of wheels featuring a wide 17C tubeless-ready carbon-laminate rim and a smooth hub with Centrelock disc rotor mounting. With a wide internal rim-measurement the WH-RX830 wheels are designed to run a wider road or gravel tyre, giving a better overall tyre profile and increasing tyre/ground contact and traction in the corners and on loose terrain. 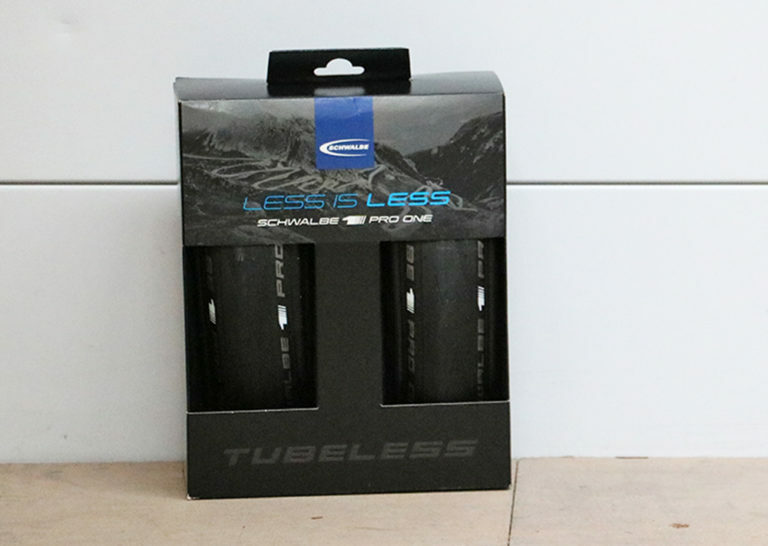 Thinking of making the switch over to tubeless tyres on your road bike? Why not take advantage of our great offer on these Schwalbe Pro One Microskin TL-Easy tubeless tyres which come with everything you’ll need to set them up correctly on your tubeless-ready road wheels. Running tubeless road tyres helps you benefit from a lower rolling resistance, a more-supple ride, enhanced grip and decreased overall weight and with Schwalbe’s Microskin construction these capable Pro One tyres offer increased puncture protection too. To make your tubeless setup as easy and as affordable as possible Schwalbe have included two 25mm Pro One tubeless road tyres, Doc Blue latex tyre sealant, Easy Fit sponge applicator and a practical tyre valve wrench. 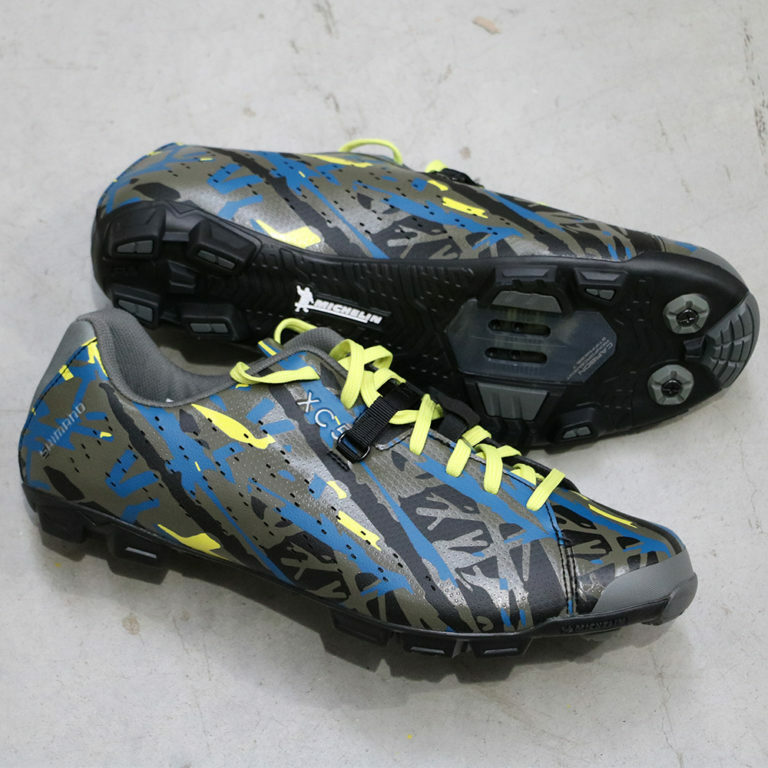 These hot lace-up Shimano XC5 SPD MTB shoes mix dependable functionality, stylish looks and great value with the green camo option looking particularly good. Designed for cross country mountain biking, cyclocross and gravel riding these lightweight shoes provide a stiff pedaling platform thanks to their rigid carbon fibre reinforced midsole and feature traditional lace-up closure combined with Shimano’s Powerstrap system to help fit securely without creating any unwanted pressure points on the top of your foot. When you’re off the bike and running there’s plenty of grip provided by an exclusive Michelin® high-traction sole and a perforated synthetic leather upper molds around your foot while stopping you from overheating. A word of warning though, don’t take the camo ones off in the woods, you’ll never find them again! Great news! Our popular Merlin Ignite carbon disc road bike is now available as a frameset, allowing you to build your dream road bike to your own specification. The Merlin Ignite is our new lightweight, disc-brake-specific carbon road frameset featuring thru-axles, disc brake flat-mounts and a balanced geometry designed specifically to excel in long-distance events such as Sportifs and Gran Fondos or your regular day-long club runs. 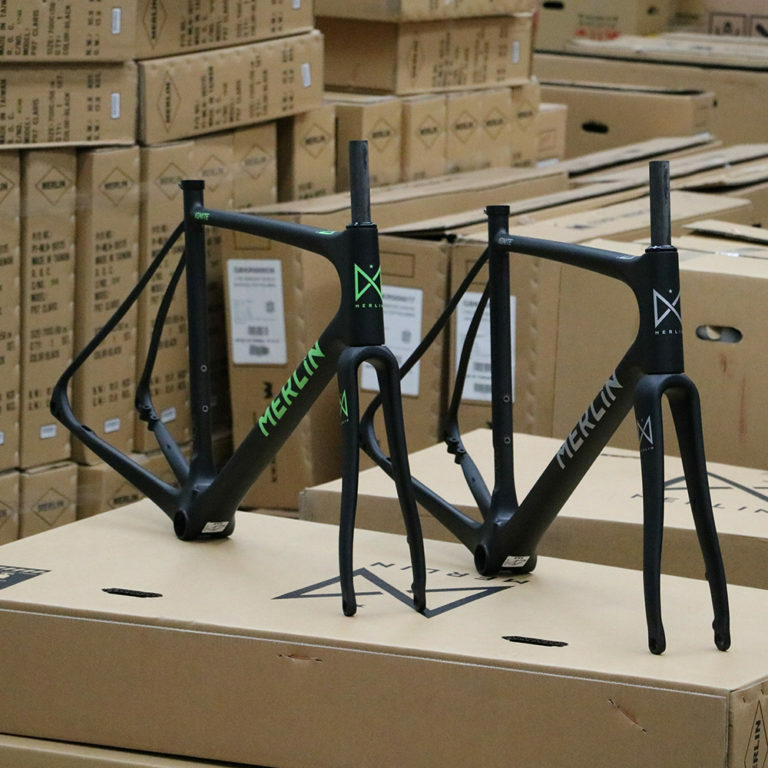 The Ignite frameset is available in a limited quantity in matt black & silver or matt black & green. 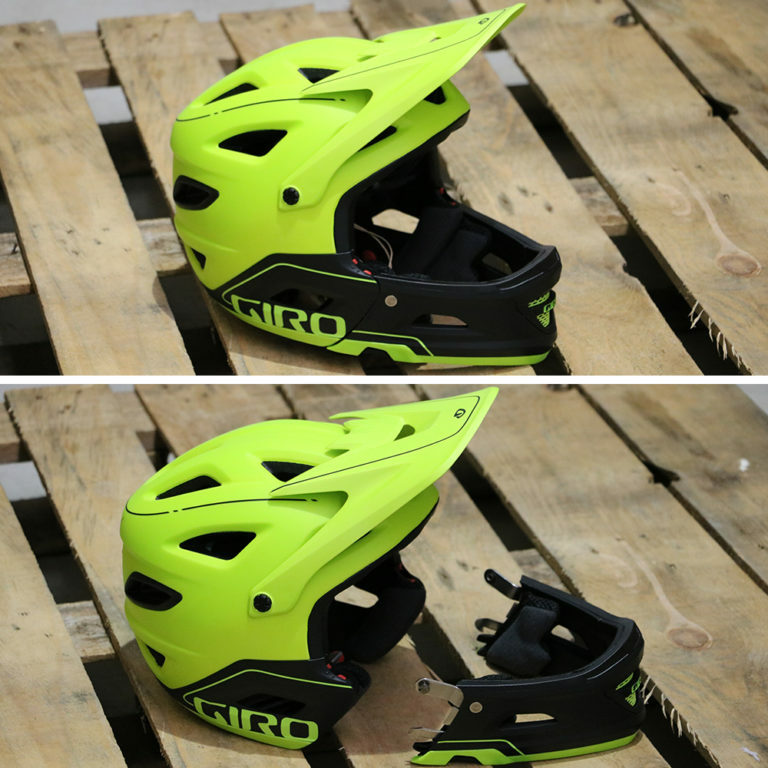 If you’re regularly riding demanding mountain bike trails, racing downhill or are taking part in MTB Enduro then you need the extra protection of a full-face mountain bike helmet. We’ve got a good stock of the versatile Giro Switchblade MIPS full-face helmet with a removable chinbar. Depending on the type of riding you’re doing and the demands of the trail you can simply attach or remove the Switchblade chinbar by pushing a couple of buttons and rotating up; the Giro Switchblade also features MIPS technology which helps to protect you in the event of impacts involving a twisting motion. Available in various cool colours the Switchblade is a must-have for your next big trip to your favourite bike park. The Merlin Inferno carbon fibre disc road bike with a super-sleek silhouette and aero-profiled tubing is now available as a frameset. Built for out and out speed the Inferno is ready to take on road races, time trials or triathlons; the seatpost included with the Merlin Inferno frameset can be rotated 180 degrees to allow you to dramatically adjust your fore and aft position on the bike making it ideal for time trialists and triathletes while the addition of flat-mounts for hydraulic disc brakes ensures braking remains predictable and consistent regardless of the weather and road conditions. 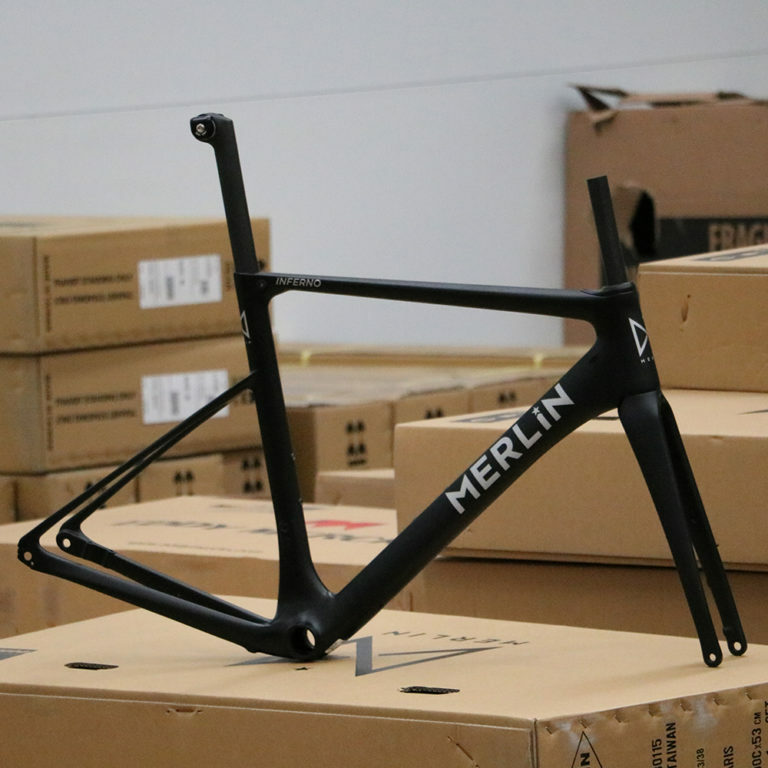 Available in limited numbers and in two colour options the Merlin Inferno carbon frameset is a great chassis to build your dream bike up on. 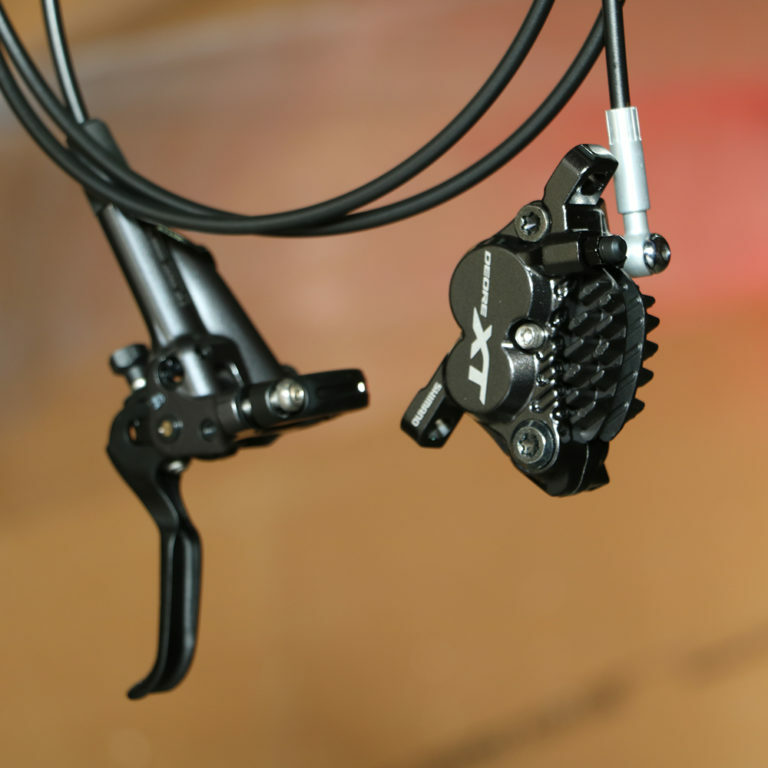 We like the approach Shimano have taken to their new XT M8020 components, with these Shimano XT M8020 disc brakes designed specifically to cope with aggressive trail riding and MTB Enduro. To meet the demands of modern mountain biking Shimano have produced a 4-Pot brake caliper, adding extra braking capacity and providing an estimated 20% increase in stopping power. 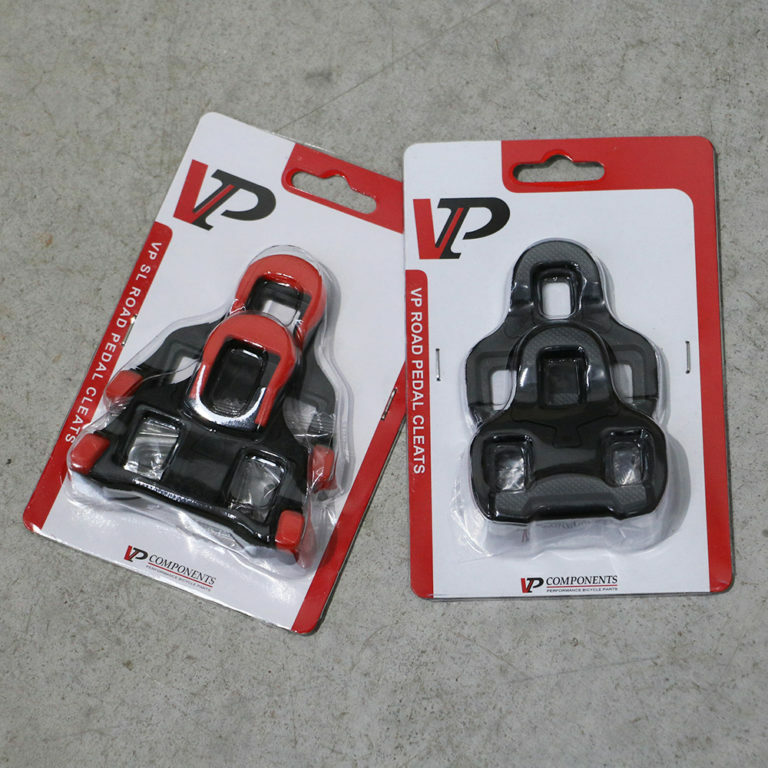 This front and rear brake set also provides the extra stopping power required to control and slow modern E-bike mountain bikes where riders tend to carry more speed into turns and technical trail sections making them a great option for you E-Bikers out there. Tagged aero road bike, carbon frameset, disc brakes, disc road bike, e-bikes, enduro, mips, mountain bike, mtb, mtb helmet, Shimano, shimano shoes, troy lee designs, tubeless tyres. Bookmark the permalink.